It sounds sensational. 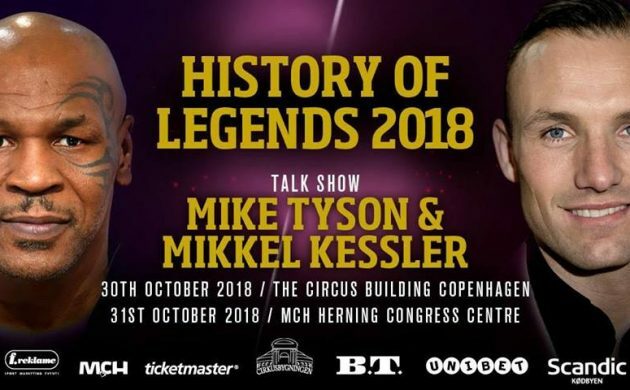 Denmark’s very own boxing superstar Mikkel Kessler and one of the all time-greats, American fighter Mike Tyson, are scheduled to meet in Denmark on Halloween! Don’t worry – this isn’t a mismatch, as the legends aren’t squaring up in a ring. Rather they’re uniting as a ‘joint force’ in ‘History of Legends’, a three-hour talk show double-bill in which they’ll share insight into their careers, fights and experiences as professional boxers. For Tyson, this will be the first time he has held court in Denmark since he fought Brian Nielsen at Parken in October 2001 – a sixth round victory that solidified his status as the number one WBC contender. First the pair will share their personal stories at Cirkusbygningen in Copenhagen on October 30, before travelling to Herning‘s MCH Kongrescenter for a return bout on October 31. Taking on the role of referee in Copenhagen will be the task of well-known Danish television hostess Ulla Essendrop. 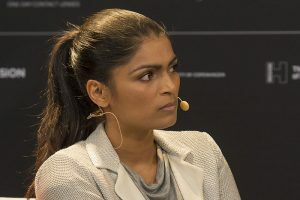 She will guide the two legends through their reflection on the past as well as mediate between them and the 800 paying spectators in the arena, who can also ask questions. Kessler told BT that “it will be fun to be on the stage with Tyson”, calling him a “boxing legend, obviously”. “Tyson was a different weight class to me so we didn’t get to fight against each other, but I still learned a lot from him,” he said. Sports News in Brief: Denmark draw Ireland for World Cup playoffs!